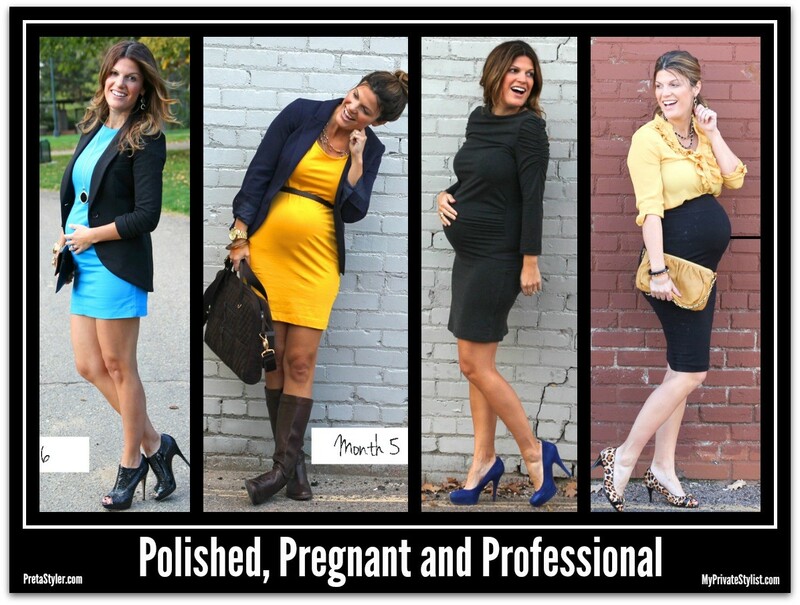 Nine months of pregnancy doesn’t have to mean nine months of hiding your flair for fashion. 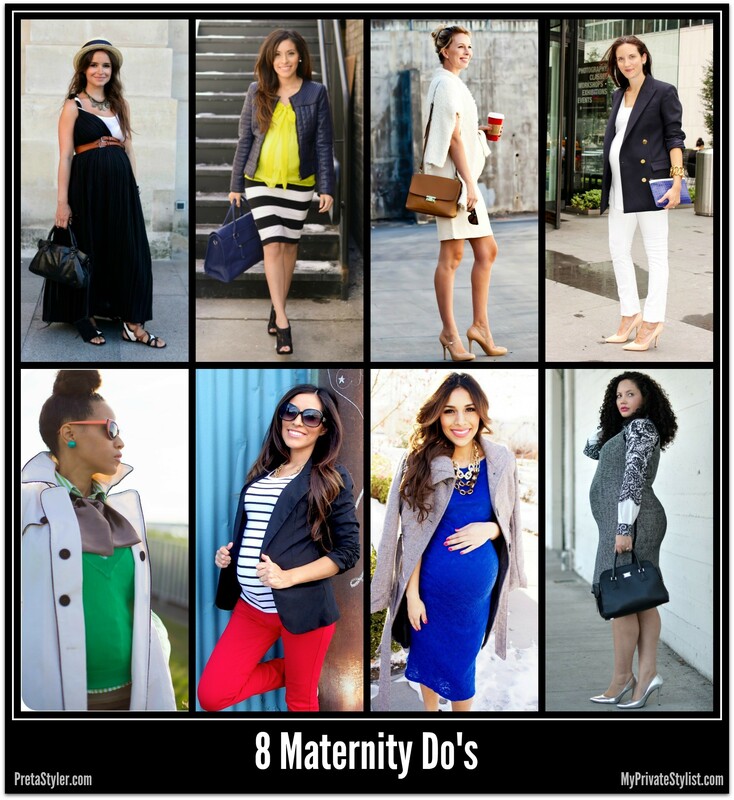 Let’s take a look at more ideas for fashion for pregnant women. 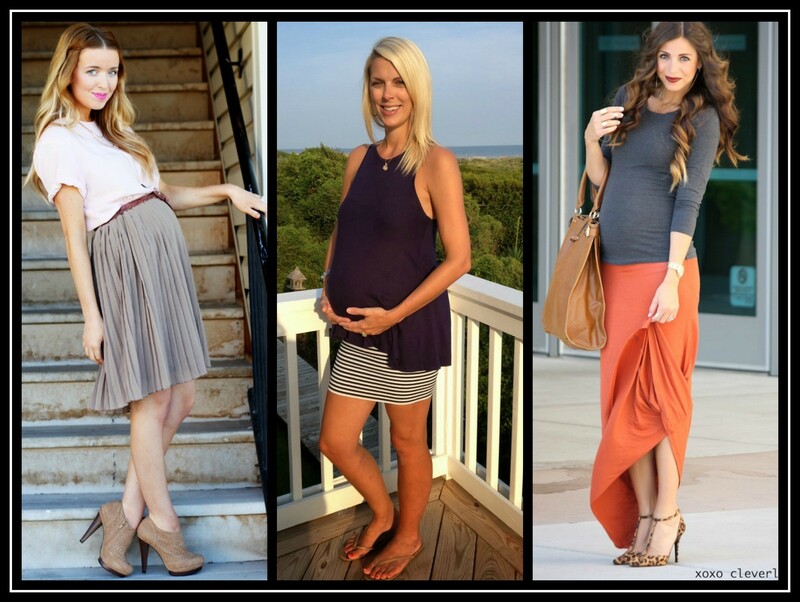 Did you know you can wear just as many different styles of skirts when pregnant as you can when you’re not? High waist full skirts (yes, even pleated ones) are adorable pieces to play up your feminine style. Add a belt over the belly (braided by day, metallic by night) to draw the eye to under your bustline. A short curve-hugging skirt pairs well with fuller top, while a full short skirt will do better with a body-hugging top. Long, stretchy skirts lean toward the casual side, but a bold accessory can add pre-natal razzle-dazzle. Swaddling a baby is said to be beneficial for him/her, but don’t forget to wrap up your figure. Wrap dresses feature a V-neckline and elegant drape which look glamorous no matter your size. 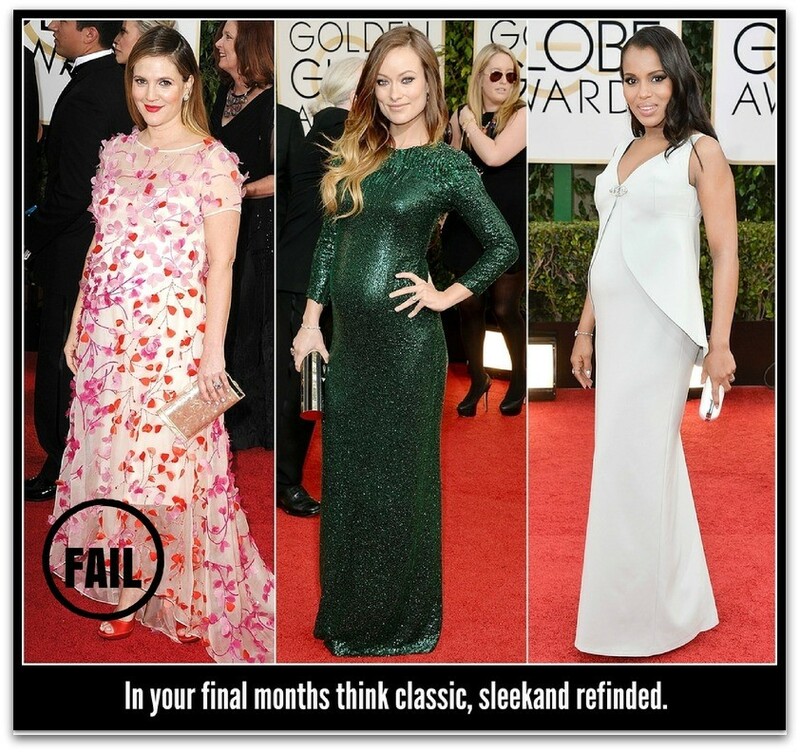 In addition, you can wear a wrap dress while losing your post-pregnancy weight and still look fab. Accentuate the positive with accessories. Draw the eyes upward with hats, statement jewellery, scarves, belts worn above the belly, and embellished necklines. Don’t forget to coordinate these items with bangles and shoes. CAUTION! 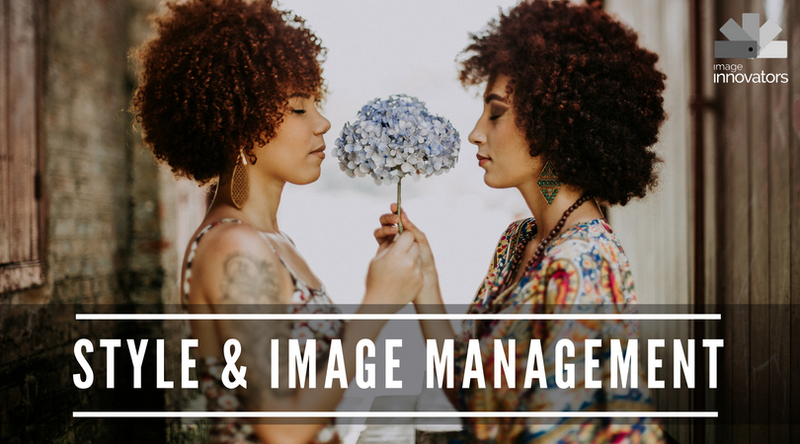 Accessories should be minimal and uncluttered because there’s a lot more of “you” to be seen, so understated is better. 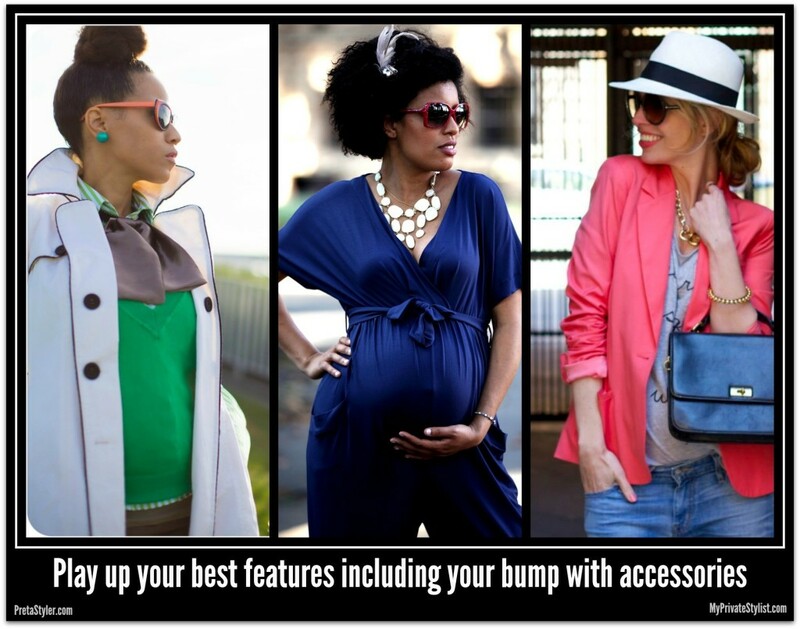 This is very important in terms of fashion for pregnant women. Maintaining a professional appearance when you’re working while pregnant starts with a great support bra . . . or two, as your cup size will no doubt go up. You should also invest in conservative clothing styles (remember: there’s more of you to be seen) with tasteful accessories for polished pregnant couture. Marion of Marionberry Styleshows you how it’s done. Don’t want to buy a new work wardrobe? 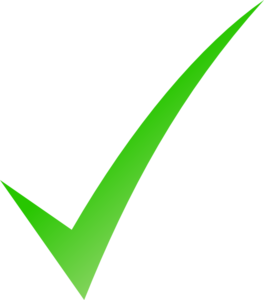 Try hiring outfits – they are generally cost-effective and give you a fresh look without the financial commitment. Show your personality and have fun. 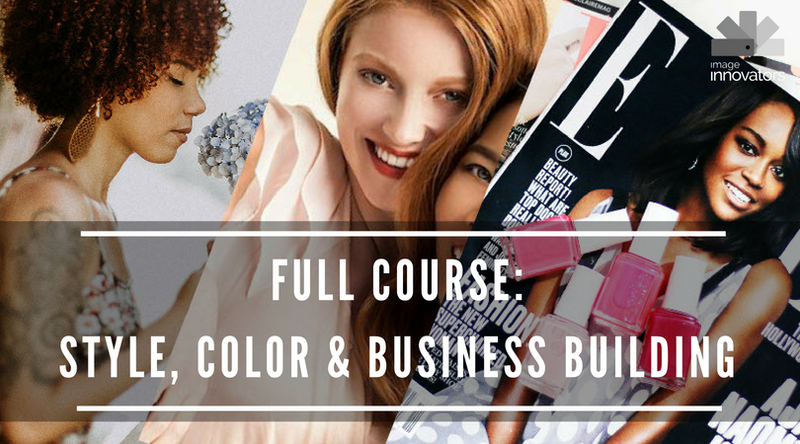 Use color to lift and invigorate your appearance and mood. Think clean, classic, and cute. Use jackets and cardigans to layer, add interest, and camouflage. Forget to wear make-up, exercise, and put some effort into looking good. Wear overwhelming prints and patterns. Wear floral patterns (unless you’re ok looking like a field of flowers or a sofa). Wear too many horizontal design elements. Experiment. There’s more of you to look foolish if a new look doesn’t work out. Wear closed necklines – they’ll only increase your apparent width. Wear big T shirts with quotes about your pregnancy. Squeeze into pre-pregnancy clothes past the fifth month.